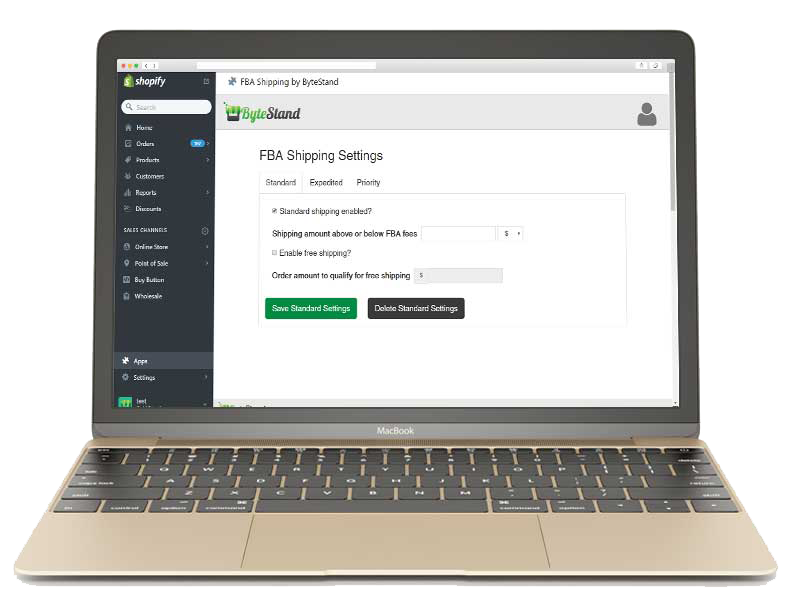 FBA Shipping connects your US & non-US FBA account with your Shopify store, allowing you to finally leverage the power of Amazon FBA around the world. Once setup your orders can automagically be sent to and fulfilled by Amazon FBA. Through the power of the internets we automatically pull in shipping status updates and tracking numbers. The app pulls in updates every 5 minutes, and automatically emails your customer when their item ships. With FBA Shipping never worry about shipping or customer updates again. Let Amazon fulfill your Shopify orders automatically – you don’t have to lift a finger. Amazon charges you less in fees for Shopify orders than for Amazon orders. Our app is embedded in the admin section of your store, works through Shopify, and if you type fast, can be setup in less than one minute. To get setup we just need a few identifying pieces of information from your Amazon account, plus your shipping rules and you’re done.